ISO Approved Supplier & Exporter of Seamless & Welded Stainless Steel 310S Pipes & Tubes. Seamless Austenitic Stainless Steel TP 310S Tubes, 310S Stainless Steel Pipe, Stainless Steel 310S Tubing, Stainless Steel 310S Seamless Pipes, SS 310S Pipe, SS 310S Seamless Tubing, Stainless Steel 310S Tube, UNS S31008 Tube, Inox 310S Pipe, SUS 310S Pipe, Stainless Steel 310S Pipe, Stainless Steel 310S Welded Pipes, 310S SS Tube Supplier in Mumbai, India. Piyush Steel is leading Manufacturer, Suppliers and Exporter of Stainless Steel TP 310S Pipes that offers a comprehensive range to our clients in different sizes and lengths. Combining outstanding high temperature attributes with good weldability and ductility, SS 310S Pipes (UNS 31008) is designed for soaring temperature service. We are Distributors of SS 310S Tubes is used when the application atmosphere includes moist corrodents in a temp range inferior than that which is usually considered as "elevated temperature" service. ASME SA312 SS 310S Seamless Pipes has content of carbon and is a favorite choice for elevated temperature applications. 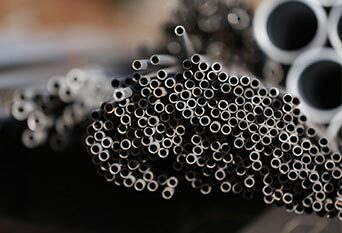 SS 310S Seamless Tubes (DIN 1.4845) is a medium carbon austenitic stainless steel, for soaring temperature applications like heat treatment machinery and furnace parts. Meanwhile, the content of lower carbon in ASME SA213 SS 310S Seamless Tubing does decrease its soaring temperature potency as compared to 310S Stainless Steel. Our clients can buy 310S Stainless Steel Tubing in customized options too. ASTM A312 SS TP 310S Pipes, SS UNS S31008 Pipes, ASTM A358 TP 310S EFW Pipes, ASTM A249 TP 310S Welded Tubes, DIN 1.4845 Tube, UNS S31008 Tube, SS Werkstoff nr. 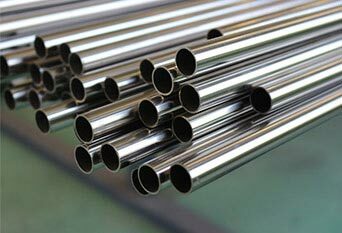 1.4845 Welded Pipes, TP310S Stainless Steel Seamless Pipe Dealer, UNS S31008 Pipe, ASTM A213 Stainless Steel TP310S Seamless Tubing, SS 310S Tubing Manufacturer in India. Stainless Steel ASME SA312 TP 310S Pipes Dealer, Leading Stockists and Exporter of Stainless Steel TP 310S Seamless Pipes, 310S Stainless Steel EFW Tubing Stock Holder, TP 310S SS ERW Pipes, ASTM A269 Seamless and Welded Austenitic Stainless Steel 310S Tubing, TP 310S Stainless Steel Pipes, DIN 1.4845 Pipe, UNS S31008 Pipe, Inox 310S Pipe. Grade 3CR12 Pipes can be used as an alternative of ASME SA312 Grade 310 Pipes because heat resistance is necessary, but merely to about 600°C. In addition, Grade 304H Tubes can also be used in its place of Grade 310 Tubes because heat resistance is desirable, but only to approximately 800°C. TP310 Stainless Steel Welded Pipes repels oxidation in incessant service at temperatures up to 1150°C only if reducing sulphur gases are not in attendance. Like other austenitic grades these 310S Stainless Steel Pipes have outstanding toughness, as well down to cryogenic temperatures, even though other grades are usually used in this atmosphere. 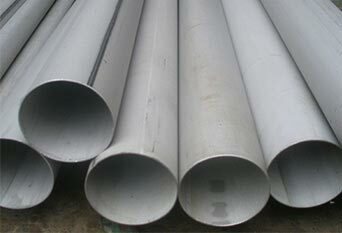 310H Stainless Steel Pipes is extensively used in atmospheres where sulfur dioxide gas is in attendance at soaring temperatures; however it is suggested that this steel must not be unceasingly used in the range of 425-860°C (797-1580°F) because of carbide precipitation. 310 Stainless Steel Tubes is not suggested for common liquid quenching as it experiences from thermal shock. 310S Stainless Steel Tubes is an austenitic heat resistant alloy by means of outstanding resistance to oxidation under slightly cyclic circumstances through 2000ºF. 310H Stainless Steel Tubes has a content of carbon that is limited to eliminate the lower end of the 310 range. 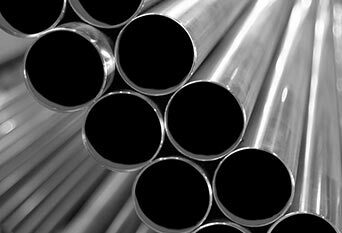 We Supply SS 310S Pipes & Tubes of various origin’s and companies like Nippon Steel & Sumitomo Metal, Sandvik, Sanyo Special Steel, Kobe Steel, Schoeller Bleckmann, Salzgitter Mannesmann Stainless Tubes, Tubacex etc. a312 tp310s seamless pipes, a312 tp310s welded stainless steel, tp310s seamless stainless steel pipes, 310s stainless steel pipe price list, a312 TP 310s precision stainless steel tubing suppliers, ss 310s pipe weight chart, 310s stainless steel pipe weight per foot, ss 310s seamless pipe sizes, ss 310s pipe schedule chart, stainless steel tube manufacturers in mumbai, india, 310s stainless steel pipe specifications, jindal ss 310s pipes price list, marine stainless steel 310s tubing suppliers in mumbai, india, tp310s seamless pipe manufacturer, austenitic TP310s seamless pipes for high pressure, prime quality tp310s stainless steel seamless pipes, schedule 40 stainless steel 310s pipe, polished stainless 310s tubing, stainless steel 310s schedule 40 pipe, 310s stainless steel tubing sizes, 310s stainless steel tubing suppliers, a312 tp310s stainless pipe, stainless steel 310s pressure pipe, stainless steel tp 310s sanitary tubing, stainless steel 310s mechanical tubing, seamless pipe astm a312 tp310s, large diameter steel pipe manufacturers in india, erw stainless steel 310s pipe, 10mm stainless steel 310s tube, 40mm stainless steel 310s tube, astm a213 tp310s price in india, 310s stainless steel tubing price in mumbai, india, stainless steel 310s pipe price, 4 inch 310s stainless steel pipe price, schedule 10 stainless steel 310s pipe, 310s stainless coil tubing, stainless steel 310s coil tube.